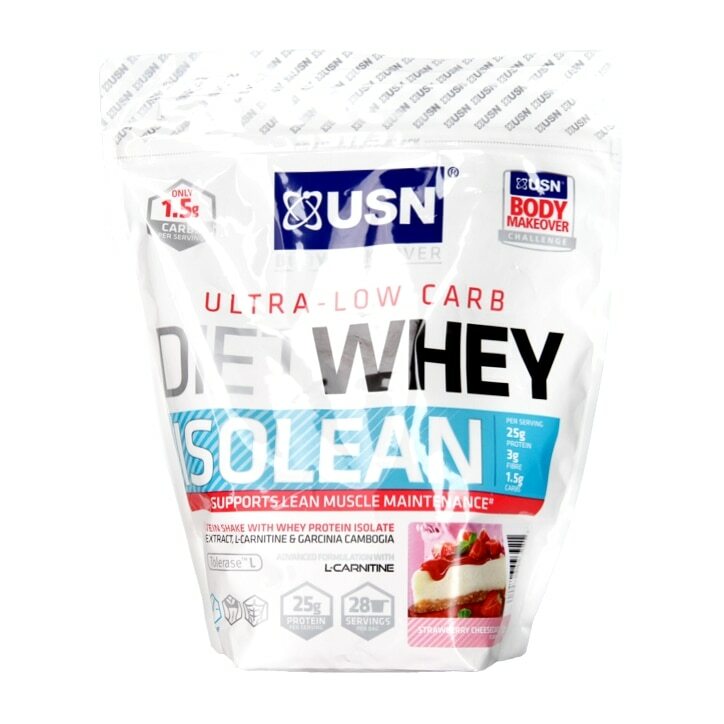 USN Diet Whey Isolean Strawberry Cheesecake is rated 4.3 out of 5 by 6. Rated 4 out of 5 by Tuuu from Does as it says drink powder This is not my normal brand, but bought it to try it out. I am used to a more shake consistency, this is really thin, it is a drink only. Taste is exactly as any other strawberry taste, see no cheescake there. This has absolutely Zero lumps , which is a great thing. Just compared with my usual diet whey powder and this does better in every detail, but i just still prefer my shake consistency brand, so i am not going to switch to this one. Rated 3 out of 5 by Jussymc from Hit and miss! I bought this for myself, to complement my new eating and excercise regime. I hated it. The smell and taste were awful, and I would feel nauseous for a couple of hours after drinking it. Maybe it was the green tea in it? I cannot stand green tea. I gave up after a few days. However, my partner decided to give it a try. She loves it! She really likes the smell and taste, and has it twice a day. In fact, she likes it so much, she went and bought another two bags. She really believes it is helping her achieve her low carb/high protein goals. Rated 5 out of 5 by Rob1977 from Great taste easy to mix Great protein drink with very low fat and carbs! Tastes great and mixes easily already ordered more!